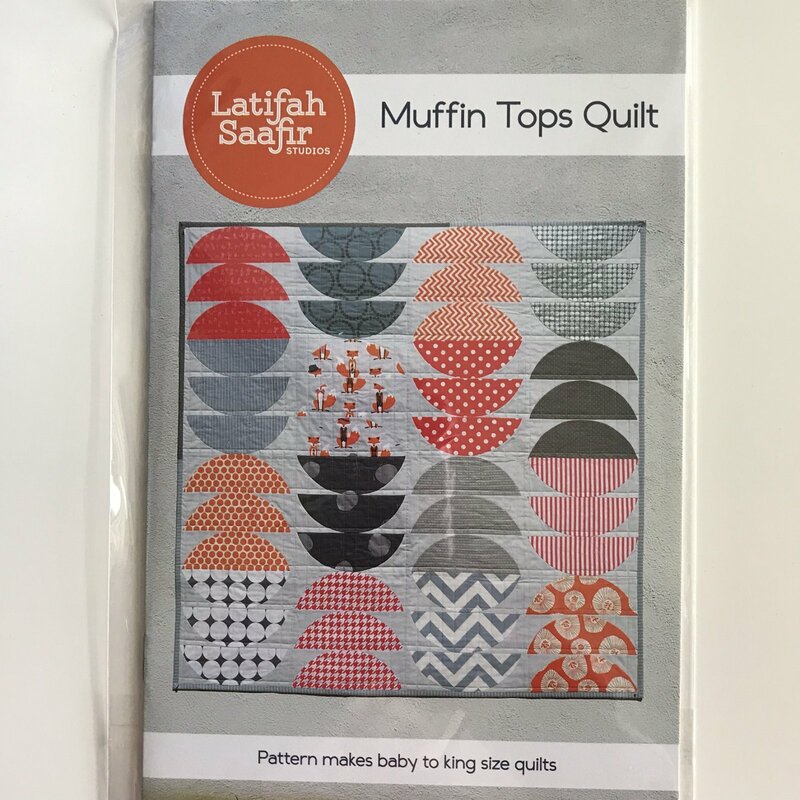 Muffin Tops Quilt by Latifah Saafir Studios is a modern, fun pattern with curved piecing. The pattern is designed to be used with The Clammy 12" (sold separately). However, paper templates are included in the pattern. Curved piecing is a lot quicker and easier that many quilters think. This fun quilt lets you explore it in a fairly easy pattern. Finished Size: Baby 48"x48", Throw 60"x60", Twin 72"x96", Queen 96"x108", King 120"x120"